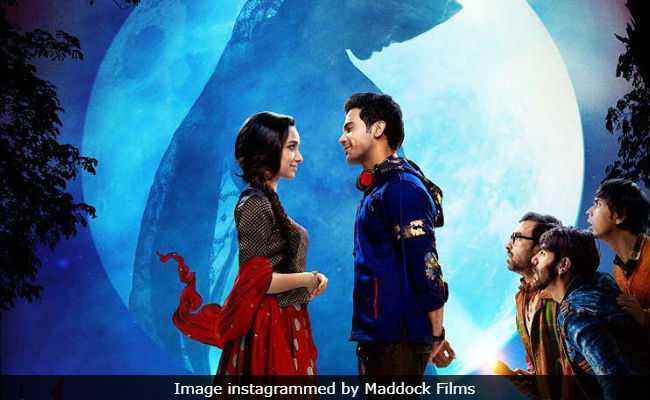 Stree Movie Review: Aparshakti Khurana steals many a scene, Pankaj Tripathi is in cracking form in this spine-tingling film. A zany supernatural parable that is both strongly feminist and uproariously funny, Stree, Amar Kaushik's self-assured first feature, delivers shocks and laughs in equal measure. Despite its repeated to-ing and fro-ing between conflicting tones, the horror comedy glides along a firm and steady arc almost all through its runtime of two hours and a bit. The film's fear quotient, like its comic flourishes, varies pretty wildly - in the climatic moments, it even wobbles just a touch - but the sight of fully grown men cowering in panic at the very mention of the spectral figure who gives the film its title is always hilarious, even when it tilts towards the terrifying. The director harnesses his resources to their fullest: the lighting, the camera movements, the sound design and the editing all serve the purpose of heightening the film's seamless tonal duality. It goes repeatedly swings between spine-chilling and hysterical, alarming and absurd without losing its grasp. 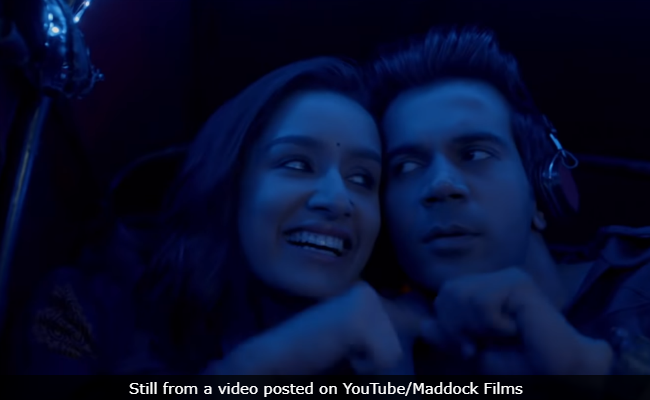 Stree is a tour de force enlivened enormously by solid contributions from each and every technical department and the superlative turns from the principal actors. The cast is led admirably well by the splendid Rajkummar Rao and that man for all seasons who invariably seems to be a step ahead of the demands of the screenplay - the magnificently malleable Pankaj Tripathi. 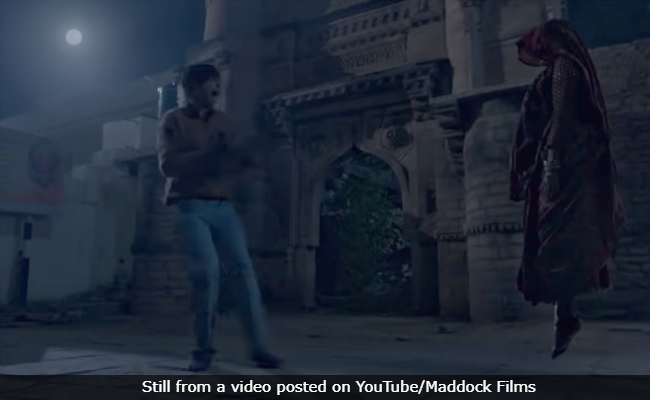 Filmed entirely on location in Chanderi, Madhya Pradesh, Stree combines the tangibility and the rough and tumble of a real small-town ambience and the flights of fancy of a weird fantasy based, as we are told at the start of the opening credits, "on a ridiculous phenomenon". Written by Raj Nidimoru and Krishna DK (also the film's co-producers with Dinesh Vijan), the script pulls wonderful tricks out of its bag to deliver an unconventional entertainer that uses the devices of Mumbai commercial cinema in ways that turn everything on its head. The hoary town has a dark secret that it wants to forget but can barely live down. This chapter in its long history of patriarchy, misogyny and toxic masculinity - it centres on a beautiful prostitute violently thwarted in her attempt to find true love - lies behind the terror that strikes the hearts of the men of Chanderi during a four-day annual religious festival. So, it is the time of year when the men are either on the run or are forced to hide behind closed doors, not daring to step out of their homes at night. It is a case of a woman getting her own back, and entirely on her own terms. There is no escaping the attention of Stree when she is out to make her ominous presence felt. Every home in this haunted area has "O Stree kal aanaa (O Woman, come tomorrow)" written on its walls with red ink created with special ingredients meant to keep evil away. The vengeful ghost is obviously literate and is very, very civil - a woman, even as a wild wraith, does not believe in using force and waits for the consent of her victims before abducting them, leaving only their clothes behind. She whispers a man's name and as soon as he turns around, she is upon him in a flash. The guy vanishes without a trace. Vicky (Rajkummar Rao), a young man famed in the region for his exceptional tailoring skills, works in his father's shop when he isn't gallivanting around town with his two best pals, Bittu (Aparshakti Khurrana) and Jana (Abhishek Banerjee). Their carefree ways are disrupted when a mysterious, unnamed woman (Shraddha Kapoor) appears from out of the blue and sweet talks Vicky into agreeing to stitch a lehenga for her in two days flat. I want to wear it on the last day of the festival, she says. The guy, on his part, falls head over heels in love with the light-eyed lass. There is more to her than meets the eye, Bittu warns Vicky. But Jana eggs him on - with disastrous results. Bittu's fears are strengthened when the town's resident know-all Rudra, a bakwaas baaton ka expert who owns a pustak bhandar, reminds Bittu and Jana of the legend of the avenging spirit on the loose and tells them what they need to do to ward her off. But that is easier said than done. It is hunting season for the wandering spirit and the men resort to desperate measures to stay out of harm's way. This construct is as crazy as it is comical, but the director injects just the right dose of goofiness to make it all consistently quirky and playful. 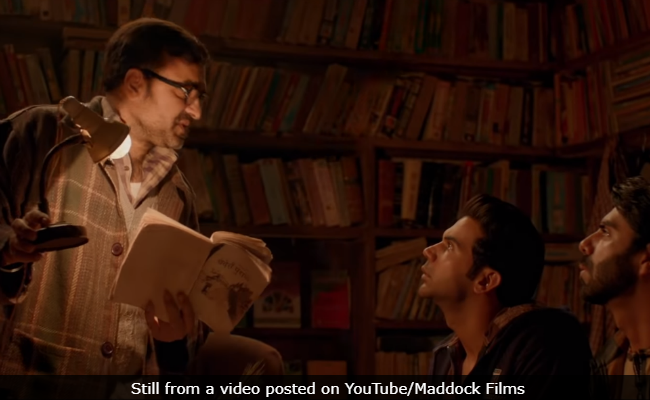 The quality of the performances that Kaushik extracts from his actors lends Stree infectious flounce. Rajkummar Rao is terrific. Whether he is flummoxed, frightened or simply going along with the flow, he delivers with minimum apparent effort. Shraddha Kapoor is suitably icy as the enigmatic woman who traipses into the protagonist's life and sets off the tremors. Aparshakti Khurrana, full of beans, steals many a scene. Abhishek Banerjee delivers a high-energy yet controlled performance as the friend who suffers the most at the hands of the eponymous ghost. Pankaj Tripathi is in cracking form, giving the narrative a booster-charge whenever he is on the screen. Atul Srivastava in the role of Vicky's father leaves an impression in the handful of scenes he has in the film. 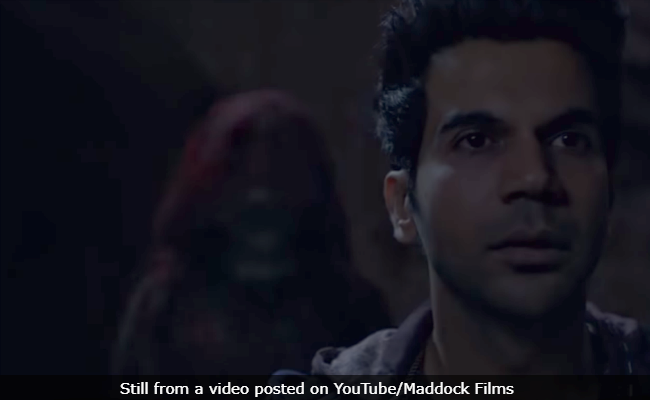 Stree plays an unwavering hand in demonstrating that dread can be unbridled fun when it serves a larger thematic purpose. Go watch this spine-tingling film. It is completely madcap but there is method in its manic madness.